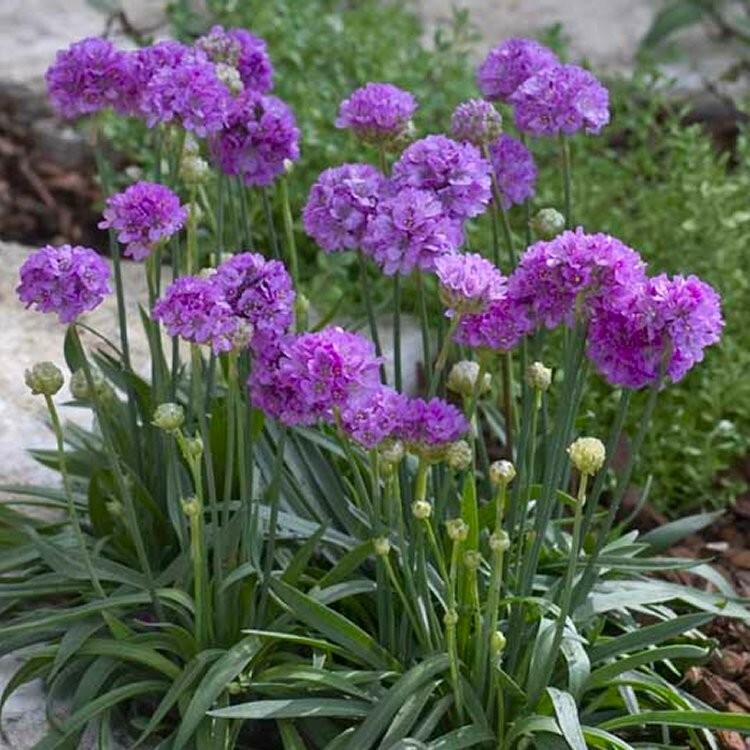 These evergreen "Ballerina" plants are covered with stems that carry inch pompons of neon-lilac. They can even be used as fresh or dried cut-flowers, dead heading will promote more continual blooming all summer. Compact and very uniform, it's a good choice for edging as well as the front of the border. Evergreen and adaptable. Supplied in approx 1 litre containers full of buds and flowers in season.